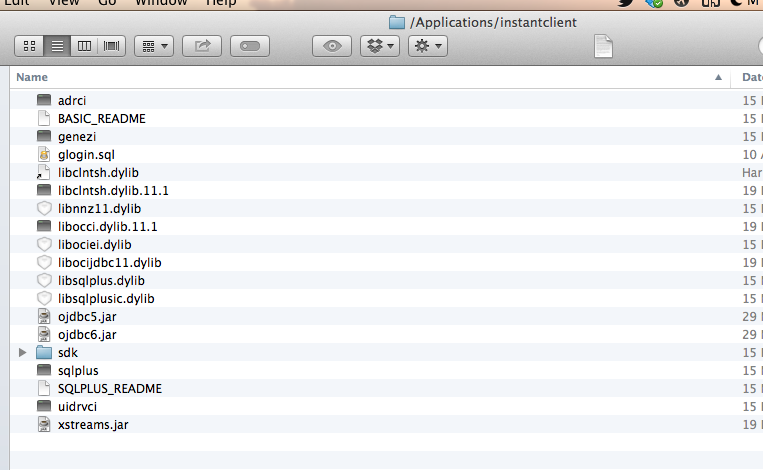 After upgrading to OS X 10.9 Maverick, i’ve to reinstall PHP library and reconfigure it. 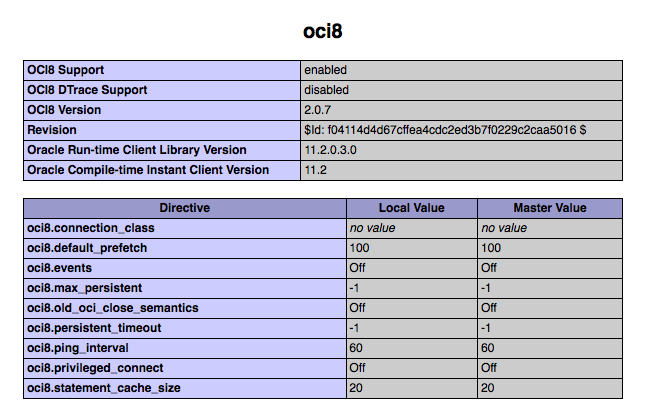 Oracle OCI8 is one of PHP libraries which need to be reconfigured. Today i spend more than 2 hours just to find out how to enable Oracle OCI8 in PHP 5.4.24. So I post it here just in case i have to reconfigure it again, i don’t have to feel the pain again. Oracle Instant Client folder (click picture to enlarge). After downloading package from pecl, extract it anywhere you like. And then open “Terminal” and go to that folder. Then run commands below. 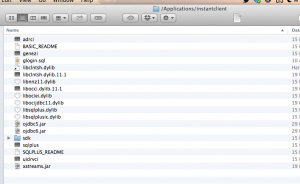 Edit “/Applications/instantclient/” to the path where you extract Oracle Instant Client (point 1). Open Apache plist using text editor and then find Environment Key section. Add DYLD_LIBRARY_PATH key and your Oracle Instant Client folder as value. Open your /Users/yourusername/.bash_profile file using text editor, then add “export DYLD_LIBRARY_PATH=/Applications/instantclient/” (without quotes) at the end of file. If you still not getting it to work, check Sarah’s comment below. It works! Thanks for saving the day! These instructions look great, but I’m still not getting it to work. Do you have any suggestions for testing at various steps to ensure that each works? Perhaps ‘what to expect’ after each step would help. I had to sudo a lot to get things to work (not just the one place where you said to sudo). This suggests that maybe I have a permissions issue, so I’m going to investigate that a bit. Any additional suggestions would be much appreciated. Surely there are more than 4 of us in the world trying to do this!! The problem was that the versions didn’t match. I figured this out by running php from the command line. This gave me the error message. Thanks for this posting–it was a huge help. Anyway, thanks for the guide. Best Regards. @Marco : Thanks. I will add it to the updated post..